Rockwall Chrysler Jeep Dodge Ram invites you to search our outstanding new inventory of cars, trucks, vans, and SUVs for sale near Dallas in Rockwall, TX. Our team of specialists are ready and waiting to help you find one of the best deals on a new Chrysler, Jeep, Dodge or Ram. 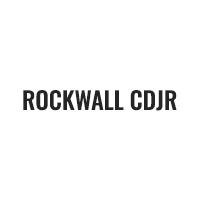 Don’t forget to ask about Rockwall CJDR’s great financing options, lease deals, and exclusive dealer incentives. Search our stock online, drop in for a test drive, or call (469) 698-2100 today. Please see dealer to Qualify for Conditional Incentives. We are excited to offer this 2018 Dodge Journey. This Dodge includes: BLACKTOP PACKAGE Aluminum Wheels QUICK ORDER PACKAGE 22B Auto-Dimming Rearview Mirror Back-Up Camera ENGINE: 2.4L I4 DOHC 16V DUAL VVT (STD) 4 Cylinder Engine Gasoline Fuel TRANSMISSION: 4-SPEED AUTOMATIC VLP (STD) Transmission w/Dual Shift Mode 4-Speed A/T A/T REDLINE 2 COAT PEARL *Note - For third party subscriptions or services, please contact the dealer for more information. * Want more room? Want more style? This Dodge Journey is the vehicle for you. Look no further, you have found exactly what you've been looking for. You could keep looking, but why? You've found the perfect vehicle right here. We look forward to seeing you soon! Please call us for more information. We are excited to offer this 2018 Jeep Renegade. This Jeep includes: ENGINE: 2.4L I4 MULTIAIR 4 Cylinder Engine Tires - Front All-Season Aluminum Wheels Flex Fuel Capability Tires - Rear All-Season BLACK QUICK ORDER PACKAGE 27J TRANSMISSION: 9-SPEED 948TE AUTOMATIC Transmission w/Dual Shift Mode A/T 9-Speed A/T *Note - For third party subscriptions or services, please contact the dealer for more information. * This SUV gives you versatility, style and comfort all in one vehicle. You can finally stop searching... You've found the one you've been looking for. Just what you've been looking for. With quality in mind, this vehicle is the perfect addition to take home. We look forward to seeing you soon! Please call us for more information. We are excited to offer this 2018 Jeep Renegade. This Jeep includes: ENGINE: 2.4L I4 MULTIAIR 4 Cylinder Engine Tires - Front All-Season Aluminum Wheels Flex Fuel Capability Tires - Rear All-Season QUICK ORDER PACKAGE 27J GLACIER METALLIC TRANSMISSION: 9-SPEED 948TE AUTOMATIC Transmission w/Dual Shift Mode A/T 9-Speed A/T *Note - For third party subscriptions or services, please contact the dealer for more information. * Want more room? Want more style? This Jeep Renegade is the vehicle for you. This is the one. Just what you've been looking for. You can finally stop searching... You've found the one you've been looking for. We look forward to seeing you soon! Please call us for more information. We are excited to offer this 2018 Jeep Renegade. This Jeep includes: PASSIVE ENTRY REMOTE START PACKAGE Keyless Start Remote Engine Start Power Door Locks Keyless Entry ENGINE: 2.4L I4 MULTIAIR 4 Cylinder Engine Tires - Front All-Season Aluminum Wheels Flex Fuel Capability Tires - Rear All-Season QUICK ORDER PACKAGE 27J GLACIER METALLIC TRANSMISSION: 9-SPEED 948TE AUTOMATIC Transmission w/Dual Shift Mode A/T 9-Speed A/T *Note - For third party subscriptions or services, please contact the dealer for more information. * Want more room? Want more style? This Jeep Renegade is the vehicle for you. Based on the superb condition of this vehicle, along with the options and color, this Jeep Renegade Latitude is sure to sell fast. Just what you've been looking for. With quality in mind, this vehicle is the perfect addition to take home. We look forward to seeing you soon! Please call us for more information. We are excited to offer this 2018 Jeep Renegade. This Jeep includes: PASSIVE ENTRY REMOTE START PACKAGE Keyless Start Remote Engine Start Power Door Locks Keyless Entry ENGINE: 2.4L I4 MULTIAIR 4 Cylinder Engine Tires - Front All-Season Aluminum Wheels Flex Fuel Capability Tires - Rear All-Season BLACK QUICK ORDER PACKAGE 27J TRANSMISSION: 9-SPEED 948TE AUTOMATIC Transmission w/Dual Shift Mode A/T 9-Speed A/T *Note - For third party subscriptions or services, please contact the dealer for more information. * Want more room? Want more style? This Jeep Renegade is the vehicle for you. You've found the one you've been looking for. Your dream car. Based on the superb condition of this vehicle, along with the options and color, this Jeep Renegade Latitude is sure to sell fast. We look forward to seeing you soon! Please call us for more information. We are excited to offer this 2018 Jeep Renegade. Want more room? Want more style? This Jeep Renegade is the vehicle for you. Everyone hates the gas pump. Skip a few gas stations with this super fuel efficient JeepRenegade. The look is unmistakably Jeep, the smooth contours and cutting-edge technology of this Jeep Renegade Altitude will definitely turn heads. You've found the one you've been looking for. Your dream car. We look forward to seeing you soon! Please call us for more information. We are excited to offer this 2018 Jeep Renegade. This Jeep includes: QUICK ORDER PACKAGE 27L ALTITUDE Integrated Turn Signal Mirrors TRANSMISSION: 9-SPEED 948TE AUTOMATIC Transmission w/Dual Shift Mode A/T 9-Speed A/T PASSIVE ENTRY REMOTE START PACKAGE Keyless Start Remote Engine Start Power Door Locks Keyless Entry ENGINE: 2.4L I4 MULTIAIR 4 Cylinder Engine Flex Fuel Capability ALPINE WHITE *Note - For third party subscriptions or services, please contact the dealer for more information. * Want more room? Want more style? This Jeep Renegade is the vehicle for you. Start enjoying more time in your new ride and less time at the gas station with this 2018 Jeep Renegade. We look forward to seeing you soon! Please call us for more information. We are excited to offer this 2018 Jeep Renegade. This Jeep includes: QUICK ORDER PACKAGE 27L ALTITUDE Integrated Turn Signal Mirrors TRANSMISSION: 9-SPEED 948TE AUTOMATIC Transmission w/Dual Shift Mode A/T 9-Speed A/T FULL SIZE TEMPORARY USE SPARE TIRE Conventional Spare Tire PASSIVE ENTRY REMOTE START PACKAGE Keyless Start Remote Engine Start Power Door Locks Keyless Entry ENGINE: 2.4L I4 MULTIAIR 4 Cylinder Engine Flex Fuel Capability GLACIER METALLIC *Note - For third party subscriptions or services, please contact the dealer for more information. * Want more room? Want more style? This Jeep Renegade is the vehicle for you. This vehicle won't last long, take it home today. You could keep looking, but why? You've found the perfect vehicle right here. We look forward to seeing you soon! Please call us for more information. We are excited to offer this 2019 Jeep Compass. This Jeep includes: ENGINE: 2.4L I4 ZERO EVAP M-AIR W/ESS 4 Cylinder Engine Gasoline Fuel TECH GROUP Keyless Start Rear Parking Aid Satellite Radio Power Door Locks Keyless Entry QUICK ORDER PACKAGE 28A BILLET SILVER METALLIC CLEARCOAT TRANSMISSION: 6-SPEED AISIN F21-250 GEN 3 AUTO A/T 6-Speed A/T *Note - For third party subscriptions or services, please contact the dealer for more information. * Want more room? Want more style? This Jeep Compass is the vehicle for you. This is the one. Just what you've been looking for. The Jeep Compass Sport will provide you with everything you have always wanted in a car -- Quality, Reliability, and Character. We look forward to seeing you soon! Please call us for more information. We are excited to offer this 2019 Jeep Compass. This Jeep includes: ENGINE: 2.4L I4 ZERO EVAP M-AIR W/ESS 4 Cylinder Engine Gasoline Fuel TECH GROUP Keyless Start Rear Parking Aid Satellite Radio Power Door Locks Keyless Entry LASER BLUE PEARLCOAT QUICK ORDER PACKAGE 28A TRANSMISSION: 6-SPEED AISIN F21-250 GEN 3 AUTO A/T 6-Speed A/T *Note - For third party subscriptions or services, please contact the dealer for more information. * Want more room? Want more style? This Jeep Compass is the vehicle for you. Why spend more money than you have to? This Jeep Compass will help you keep the extra money you'd normally spend on gas. You can finally stop searching... You've found the one you've been looking for. We look forward to seeing you soon! Please call us for more information. We are excited to offer this 2019 Jeep Cherokee. This Jeep includes: 50 STATE EMISSIONS QUICK ORDER PACKAGE 2BJ POPULAR APPEARANCE GROUP Privacy Glass DIAMOND BLACK CRYSTAL PEARLCOAT ENGINE: 2.4L I4 ZERO EVAP M-AIR W/ESS (STD) 4 Cylinder Engine Gasoline Fuel COMPACT SPARE TIRE Temporary Spare Tire TRANSMISSION: 9-SPEED 948TE AUTOMATIC (STD) Transmission w/Dual Shift Mode A/T 9-Speed A/T *Note - For third party subscriptions or services, please contact the dealer for more information. * Want more room? Want more style? This Jeep Cherokee is the vehicle for you. This is the one. Just what you've been looking for. This is about the time when you're saying it is too good to be true, and let us be the one's to tell you, it is absolutely true. We look forward to seeing you soon! Please call us for more information. We are excited to offer this 2019 Jeep Cherokee. This Jeep includes: QUICK ORDER PACKAGE 2BJ POPULAR APPEARANCE GROUP Privacy Glass ENGINE: 2.4L I4 ZERO EVAP M-AIR W/ESS (STD) 4 Cylinder Engine Gasoline Fuel VELVET RED PEARLCOAT COMPACT SPARE TIRE Temporary Spare Tire TRANSMISSION: 9-SPEED 948TE AUTOMATIC (STD) Transmission w/Dual Shift Mode A/T 9-Speed A/T *Note - For third party subscriptions or services, please contact the dealer for more information. * This SUV gives you versatility, style and comfort all in one vehicle. You've found the one you've been looking for. Your dream car. The look is unmistakably Jeep, the smooth contours and cutting-edge technology of this Jeep Cherokee Latitude will definitely turn heads. We look forward to seeing you soon! Please call us for more information. We are excited to offer this 2019 Jeep Cherokee. This Jeep includes: ENGINE: 2.4L I4 ZERO EVAP M-AIR W/ESS (STD) 4 Cylinder Engine Gasoline Fuel VELVET RED PEARLCOAT TRANSMISSION: 9-SPEED 948TE AUTOMATIC (STD) Transmission w/Dual Shift Mode A/T 9-Speed A/T QUICK ORDER PACKAGE 2BD COMPACT SPARE TIRE Temporary Spare Tire *Note - For third party subscriptions or services, please contact the dealer for more information. * This SUV gives you versatility, style and comfort all in one vehicle. This is about the time when you're saying it is too good to be true, and let us be the one's to tell you, it is absolutely true. Just what you've been looking for. With quality in mind, this vehicle is the perfect addition to take home. We look forward to seeing you soon! Please call us for more information. We are excited to offer this 2019 Jeep Cherokee. This Jeep includes: ENGINE: 2.4L I4 ZERO EVAP M-AIR W/ESS (STD) 4 Cylinder Engine Gasoline Fuel TRANSMISSION: 9-SPEED 948TE AUTOMATIC (STD) Transmission w/Dual Shift Mode A/T 9-Speed A/T QUICK ORDER PACKAGE 2BD COMPACT SPARE TIRE Temporary Spare Tire DIAMOND BLACK CRYSTAL PEARLCOAT *Note - For third party subscriptions or services, please contact the dealer for more information. * Want more room? Want more style? This Jeep Cherokee is the vehicle for you. You can finally stop searching... You've found the one you've been looking for. You could keep looking, but why? You've found the perfect vehicle right here. We look forward to seeing you soon! Please call us for more information. We are excited to offer this 2019 Jeep Cherokee. This Jeep includes: ENGINE: 2.4L I4 ZERO EVAP M-AIR W/ESS (STD) 4 Cylinder Engine Gasoline Fuel VELVET RED PEARLCOAT TRANSMISSION: 9-SPEED 948TE AUTOMATIC (STD) Transmission w/Dual Shift Mode A/T 9-Speed A/T QUICK ORDER PACKAGE 2BD COMPACT SPARE TIRE Temporary Spare Tire *Note - For third party subscriptions or services, please contact the dealer for more information. * Want more room? Want more style? This Jeep Cherokee is the vehicle for you. There is no reason why you shouldn't buy this Jeep Cherokee Latitude Plus. It is incomparable for the price and quality. Based on the superb condition of this vehicle, along with the options and color, this Jeep Cherokee Latitude Plus is sure to sell fast. We look forward to seeing you soon! Please call us for more information. We are excited to offer this 2019 Jeep Cherokee. This Jeep includes: ENGINE: 2.4L I4 ZERO EVAP M-AIR W/ESS (STD) 4 Cylinder Engine Gasoline Fuel TRANSMISSION: 9-SPEED 948TE AUTOMATIC (STD) Transmission w/Dual Shift Mode A/T 9-Speed A/T BRIGHT WHITE CLEARCOAT QUICK ORDER PACKAGE 2BD 50 STATE EMISSIONS *Note - For third party subscriptions or services, please contact the dealer for more information. * Want more room? Want more style? This Jeep Cherokee is the vehicle for you. Save money at the pump with this fuel-sipping Jeep Cherokee. Look no further, you have found exactly what you've been looking for. We look forward to seeing you soon! Please call us for more information. We are excited to offer this 2019 Jeep Cherokee. This Jeep includes: ENGINE: 2.4L I4 ZERO EVAP M-AIR W/ESS (STD) 4 Cylinder Engine Gasoline Fuel TRANSMISSION: 9-SPEED 948TE AUTOMATIC (STD) Transmission w/Dual Shift Mode A/T 9-Speed A/T QUICK ORDER PACKAGE 2BD COMPACT SPARE TIRE Temporary Spare Tire LIGHT BROWNSTONE PEARLCOAT 50 STATE EMISSIONS *Note - For third party subscriptions or services, please contact the dealer for more information. * This SUV gives you versatility, style and comfort all in one vehicle. Start enjoying more time in your new ride and less time at the gas station with this 2019 Jeep Cherokee. Based on the superb condition of this vehicle, along with the options and color, this Jeep Cherokee Latitude Plus is sure to sell fast. We look forward to seeing you soon! Please call us for more information. We are excited to offer this 2019 Jeep Cherokee. This Jeep includes: ENGINE: 2.4L I4 ZERO EVAP M-AIR W/ESS (STD) 4 Cylinder Engine Gasoline Fuel TRANSMISSION: 9-SPEED 948TE AUTOMATIC (STD) Transmission w/Dual Shift Mode A/T 9-Speed A/T QUICK ORDER PACKAGE 2BD OLIVE GREEN PEARLCOAT COMPACT SPARE TIRE Temporary Spare Tire 50 STATE EMISSIONS *Note - For third party subscriptions or services, please contact the dealer for more information. * Want more room? Want more style? This Jeep Cherokee is the vehicle for you. Everyone hates the gas pump. Skip a few gas stations with this super fuel efficient JeepCherokee. There is no reason why you shouldn't buy this Jeep Cherokee Latitude Plus. It is incomparable for the price and quality. We look forward to seeing you soon! Please call us for more information. We are excited to offer this 2019 Jeep Cherokee. This Jeep includes: ENGINE: 2.4L I4 ZERO EVAP M-AIR W/ESS (STD) 4 Cylinder Engine Gasoline Fuel TRANSMISSION: 9-SPEED 948TE AUTOMATIC (STD) Transmission w/Dual Shift Mode A/T 9-Speed A/T QUICK ORDER PACKAGE 2BD COMPACT SPARE TIRE Temporary Spare Tire LIGHT BROWNSTONE PEARLCOAT 50 STATE EMISSIONS *Note - For third party subscriptions or services, please contact the dealer for more information. * Want more room? Want more style? This Jeep Cherokee is the vehicle for you. Save money at the pump with this fuel-sipping Jeep Cherokee. Based on the superb condition of this vehicle, along with the options and color, this Jeep Cherokee Latitude Plus is sure to sell fast. We look forward to seeing you soon! Please call us for more information. We are excited to offer this 2019 Jeep Cherokee. This Jeep includes: 50 STATE EMISSIONS QUICK ORDER PACKAGE 2BJ POPULAR APPEARANCE GROUP Privacy Glass ENGINE: 2.4L I4 ZERO EVAP M-AIR W/ESS (STD) 4 Cylinder Engine Gasoline Fuel BILLET SILVER METALLIC CLEARCOAT TRANSMISSION: 9-SPEED 948TE AUTOMATIC (STD) Transmission w/Dual Shift Mode A/T 9-Speed A/T *Note - For third party subscriptions or services, please contact the dealer for more information. * This SUV gives you versatility, style and comfort all in one vehicle. You've found the one you've been looking for. Your dream car. You can finally stop searching... You've found the one you've been looking for. We look forward to seeing you soon! Please call us for more information. New vehicle pricing includes all offers and incentives. Tax, Title and Tags not included in vehicle prices shown and must be paid by the purchaser. Advertised price does not include dealer installed options. While great effort is made to ensure the accuracy of the information on this site, errors do occur so please verify information with a customer service rep. This is easily done by calling us at 469-698-2100 or by visiting us at the dealership. Residency restrictions apply. See dealer for details.